Lighter demand due to over inflated pricing and Holiday schedules interrupting sales will rebound while supplies should improve as well although currently light due to extreme cold overnight temperatures and frost delays in most locations. Cool temperatures, but not as critically cold as this week, forecast should keep supplies moderated. We are expecting to see continued demand shift towards iceberg as confidence slowly returns to Romaine consumption keeping pressure for competing salad bowl commodities. Quality continues to improve although recent frost is expected to affect wrapper leaves with blister and eventual peel in coming weeks. Demand for Romaine although far below normal is slowly improving. Most shippers are harvesting Romaine to order with light inventories. Critically cold overnight temperatures in all growing locations over the New Year weekend will increase the appearance of blister and peel in coming weeks although currently quality is at seasonal best. Green leaf and Red leaf pricing has retreated slightly but continued volatility with demand is expected as regular demand returns post Holiday season. Domestic production from Northern Coastal region continues to be strong. The market has held mostly steady with heavy Holiday demand but expect the market to retreat with slowing demand . Quality continues mixed from Northern California with some water and insect damage as the season winds down. Mexico production has started in a light way with varied mix of quality and sizing. Demand is increasing, strengthening the market. Labor shortages, mixed with cold weather across the west coast continue affect supply. Recent frost is expected to result in quality issues, including blister. Oxnard production is slowing down and desert product is slow to come on. We expect production gaps into the coming weeks, which will bring stronger markets. Prices are easing on down a bit as a result of post holiday lack of demand . What may possibly counter this is the fact that the Oxnard and Santa Maria areas have both had 3 days of below average temperatures with overnight lows warranting freeze watches in lower inland areas. The Santa Maria area was hardest hit and it will result in lower yields due to frost damage to plants already past their prime production. This should somewhat stabilize prices overall . Mexico will be ramping up production after the holidays although they too are experiencing colder than normal weather inhibiting maximum harvests. The Florida area is currently recovering with light but steadier yields than in the past few weeks due to the drier weather they are enjoying. Light supplies continue out of Mexico. The market remains steady with a slightly lower tone as we experience the post-holiday lull in demand. Look for availability to increase in the short term with the possibility of slightly lighter numbers down the road. Quality has been fair to good for most suppliers. Production will continue to come exclusively from Mexico. Quality has been good for the most part. Cooler temperatures have caused a slight increase in pricing as production is being curtailed because of the poor growth rate. Look for better availability next week as we move away from Holiday schedules. Some shippers have expressed concerns about crop damage due to adverse weather including hail, rain, and sleet. There are many micro-climates in the growing areas, so what actual effect this may have on markets remains to be seen. The Blues will continue to be available from several exporting areas by cargo container offloading at ports in the Philadelphia and Miami area in the east and Los Angeles area on the west coast. Pricing is lower but steady and fluctuates mildly from the front end of the week to the end as inventories are pushed through the system and importers await new offshore arrivals. Mexico is also producing decent numbers. Quality has been good out of all areas. The colder night time temperatures are slowing growth across California and Arizona. Demand is increasing and so are prices. Expect prices to continue upward through the first part of next week. Pre – books are recommended so get with your sales representative early to make sure we can get your orders covered. Supplies will become somewhat limited as the cooler temps across California and Arizona will slow growth. Look for prices to increase slightly over the next 5 days. We will start to see more purple color domes but overall quality should be just fine. We continue to ship nice quality crowns out of Central Mexico. Check with your sales representative on current pricing on our “Shui Ling” crowns. Lime markets are steady with pricing at promotable levels. Production continues steady with improving demand especially on the Heirloom variety. Most varieties currently are seeded or Thornless. at reduced prices. Production is peaking on Medium size profile Some frost has been reported in Salinas and Mexico and now the desert which will impact quality and sales. The first Chilean arrivals have hit the West Coast. It is early in the season and supplies of both Peaches and Nectarines are very limited. It is best to commit to the fruit prior to arrival to insure getting covered. The market is expected to be steady through next week. Quality of the early fruit is good with high color varieties available. The transition continues as we finish up the California crop and move into the Peruvian product. Supplies of California grapes may last into the 3rd week of January. As the California crop finishes, there is a wide range in quality so lean on us to help you source the best quality and avoid any issues. On offshore product, Peruvian Flames are available from the West Coast and are priced at a significant premium over the old crop California Red Seedless. Labor and budgeted shortages anticipated and realized over the Christmas and New Year Holiday’s should start to subside in coming weeks as workers head back to work. Expect markets to maintain through this week but anticipate easing as shipments increase next week. Below normal temperatures over the past week will keep the increased flow moderate. Quality will remain fair as product sits in the field. Supplies continue to be short around the country. Production is expected to improve in coming weeks in Mexico shipping out of McAllen, Texas barring any severe cold weather. These markets have been flat over the past few weeks, however recent cold temperatures in Mexico have slowed production. Supplies have been adequate, keeping up with demand for the past few weeks, but markets show signs of strengthening as production forecasts indicate lighter volume on Italian and yellow squash. West Coast supplies are good and available from all three districts. Most sizes are readily available and we suggest booking ads for the month of January. Condition and quality remains good to excellent. Sizing is peaking on 140/165/115 count. Supply currently exceeds demand which is causing a slight softening of the market. Market pricing is expected to be slightly lower. The Navel Orange crop continues to peak on 113/88/138/72’s. The market is lower on these sizes with good promotional opportunities available. Multiple packaging formats are being offered for your ads. Mid range and large sizes are also available with FOB’s remaining firm. Quality and flavor remains excellent. Caborca is in the process of cutting fern and will start shipping the 21st depending on weather warming up a bit. San Luis is ahead of Caborca by a week, but the big push will be Caborca. We are still shipping Baja but those number are dropping rapidly. Prices right now on Mexican asparagus are in the $35-40 range on large, a few dollars less on standard. The cold temperatures are a huge factor in the growth factor and could cause major problems as we go forward. Markets this week are higher due to lack of labor to run storage product. Jumbo Yellow Onions are in the $6.00 range up from the $4…4.5 we have been paying. Reds are non-existent except for contract commitments. Colossal and Supers are generally a dollar to $1.50 up overall. Whites are very tight also with prices in the mid to high teens. Mexico has not crossed any measurable amounts yet. Transportation continues to be a problem in the northwest. Cauliflower Although production has slowed , Demand continues to be cool as well although we expect improved demand as we begin a full week of normal business. Quality has been very good. 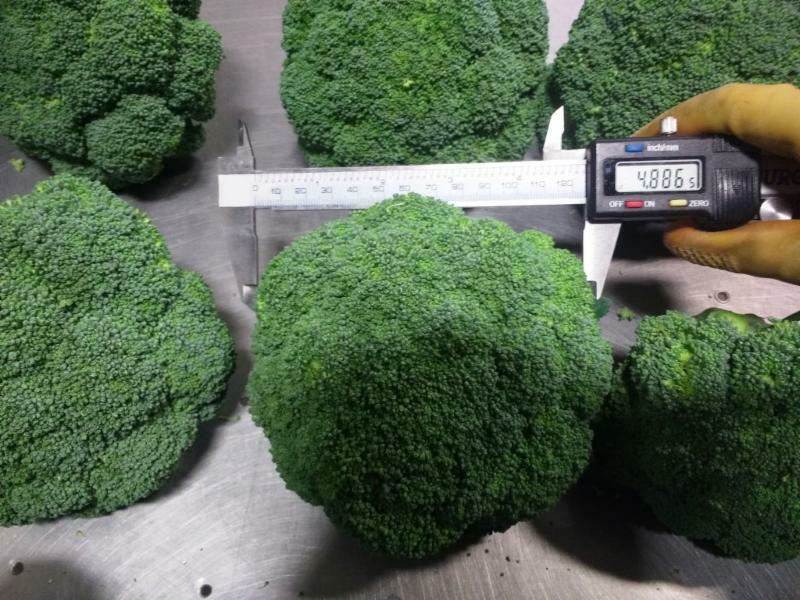 Broccoli Production has improved with many shippers yields and quality improving in the desert areas. Expect the market to firm and possibly head higher with the current cooling trend. Most Herbs and Bunching Green production has improved along with demand. The markets are expected to remain strong through early January. Oranges Navel production has been strong as well as sizing profiles. Freezing temperatures this week weren’t critically cold but will delay harvest temporarily. Possible rain in the forecast next week will likely delay harvest as well . Expect prices to remain competitive. Limes: Improved demand has pricing elevated and cooler weather could keep supplies tight. Sizing profile and Quality has improved from Mexico. Mandarins: Production has been strong as well as demand . Growers are accessing damage from Freezing temperatures this week as the thinned skinned Clementine varieties are more susceptible to freeze damage. Green & Red Central Valley supplies are winding down for the season Some storage supplies will remain but quality will certainly be less after a strong run. Expect off shore grapes to arrive next week. Carrot Production has been steady with average supplies . Demand has been very strong for the Holiday’s . Supplies should start to improve after New Years as production shifts south for the Winter season . Continue to plan ahead to get full coverage. Lettuce market continues to hold tight as Romaine sales have stalled. Even as production has modestly increased, demand peeling away from Romaine has been enough to maintain pricing. Cool but seasonal weather pattern has set in and should keep supplies steady . Demand could ease for the next couple weeks as schools let out for the Holidays but should rebound for New Years business but will it ease enough to affect the market. Either way expect continued volatility to continue through the new year. Quality from the desert although improving continues to vary with many soft puffy heads and light texture as shippers reach for supplies. Occasion blister has been seen in a few fields harvested in the far eastern part of the Yuma Valley. Demand for Romaine after the initial surge has stalled as news outlets continue to drag up old unsubstantiated claims of unsafe Romaine. Very few leaders in the industry have stood up to refute the irrational claims https://www.wsj.com/articles/lettuce-try-not-to-panic-1543534658?emailToken=8458a0bcc7801439b3830362961d148av86i93Ma1VtWYLKfLty/VxRfmzW/iLfbeaoTlZikNPb7ved55R9yBQsa0rbvaCHEqXzpC/sYUiDJQYRo5Lu2Iw%3D%3D&reflink=article_email_share#comments_sector . All of which continue to erode consumer confidence and overall demand. Although demand has shifted to Green leaf and Redleaf as well as other “salad Bowl” commodities pushing prices substantially higher. Expect continued volatility until the Romaine situation stabilizes. Domestic production from Northern Coastal region continues to be strong. The market has held mostly steady with heavy demand helping keep prices firm. Increased quality issues from insect pressure remain with Mexico production still a few weeks away. Oxnard and Santa Maria are now the primary growing areas. Overall quality is good out of both areas. Last weeks rain had delayed production and volume decreased as a result. Markets are active and are expected to remain strong through next week. There have been isolated reports of mud on stalks and in bags, typical for this time of year. Lighter supplies continue to be a struggle this week. In California, shippers have stripped and cleaned their fields of the rain damaged fruit. The yields this week have been greatly impacted by the effects of the rain and harvest is a slow go. Availability continues to be very light and markets remain high and firm. Quality is fair and bruising can be expected for the next 5-7 days as we recover from the storms. Mexico production was also slowed due to weather as well, but has picked up pace this week. Unfortunately, with the strong demand and limited availability industry wide, Mexico’s volume is not enough to offset the shortages. Lastly, Florida is being hit with cold temps and rains this week. Harvest has come to a crawl and is expected to remain very limited all week. As a whole, the industry continues to be in a demand exceeds supply situation and markets will stay high. This will continue into the first week of January. Supplies remain good. Production from Mexico has been consistent despite the weather. Quality has been okay, but we have seen some reports of soft fruit and decay. We do expect quality to improve moving forward and we anticipate good supplies over the next 2 weeks. Promotable volume and aggressive prices are available. Raspberry supplies have been lighter, but consistent. Market prices did inch up a bit this week. Some delayed arrivals from Mexico have played a role in short supplies this week, but we expect availability to remain fairly steady moving forward. We do expect to see another peak in production over the next 2 weeks. Delays have occurred in the Import blueberry arrivals. Supplies have been tight since last week. Markets jumped up last week and are firm for the remainder of this week. Containers of fruit are expected to arrive later this week and we anticipate to see better supplies by the weekend. Additionally, Chilean harvest is expected to improve and we will see a swing in supplies over the next 2 weeks. This shortage will be short lived and we will see promotable volumes and more aggressive prices moving forward. There seems to be a little more product available this week and FOB prices are declining. Some of the seasonal shippers out of the Imperial Valley are now in full swing. Overall quality is good, nice white domes and good weights. California and Arizona production remains limited due to cooler than normal temperatures so the market should remain strong as we finish out the week. We are seeing increased production out of the Imperial Valley of California and Yuma, AZ but not enough to outpace demand. Central Mexico has increased production and prices have fallen a few dollars since last week but demand remains at current market pricing so we do not expect prices to fall any lower and we could even see a slight increase starting early next week. Quality has improved dramatically out of Mexico over the last ten days..Good color and nice tight domes. We are currently harvesting our Shui Ling crowns and should have steady volume for the remainder of the season. There is a wide range in quality and condition making for a wide spread of pricing between shippers. Market prices on big sizes have dropped and small size pricing is starting to climb higher. The first arrivals of imported stonefruit season is expected for the end of December/first of the year. On the Green Seedless, prices are climbing higher as the crop winds down. Quality is mostly fair on the Green Seedless due to discoloration and soft berries on arrivals. With the current pace of sales, we should be done with the Greens in 10-12 days. On the flip side, the Red Seedless should take us into early January. The market is higher and will continue to climb higher as we head to the finish line. For now the quality overall remains good. On the Black Seedless, limited supplies. They should be finished by the end of next week. The predominant varieties are: Red Seedless- Scarlet Royal, Allison, & Crimson, Green Seedless – Autumn King, and Black Seedless – Autumn Royal. Production has been steadily increasing and demand is improving daily as we approach the Christmas Holiday. Expect continued surge of supplies at better pricing before production takes their usual siesta between Christmas. and New Years. Quality should also improve with an improvement in weather. Markets have leveled off this week as a result of better weather and improved volume. We expect current production to keep up pace with demand for the holiday pull. Weather in Sinaloa and Sonora growing areas is warming this week and production is expected to improve through the weekend. Good supplies available from the West Coast through the holidays. The market has been a little softer this week and is expected to continue that way as we are in a supply exceeds demand situation. Sizing is peaking on 140/165/115’s. As expected cantaloupes remained in a demand exceeds supply situation. Domestic production finally ended. Mexico was petering out effectively leaving the offshore deal as the only supply source of consequence, and only Guatemala producing from that venue. Sizes continued running large peaking on jbo 9s and 9s with but only a few 12 count. Demand continued to be dominated by contracted sales at much lower prices than the spot market which was trading in the mid $20.00 range. Next week looks to change little. Honduras could be starting but with only dribs and drabs coming from the early fields and any volume being another week away. Market should be steady next week. Honeydews continue to be in short supply. Domestics have done for a while. Mexico is going but supplies are fair at best. Offshore is very light. Demand has been tepid, but supplies remain short with Mexico and Guatemala the only producing areas. Mexico sizes are mostly 5 and 6s count. Guatemala are big, mostly 4, jbo 5 and 5 count. Next week Mexico will continue to be in a quasi-off season light production mode. Offshore supply should change little. We see little changing for next week. The rain seems to have had a positive impact on size. Peak sizes for this week will be 88/72/113’s. Quality is excellent and flavor is good. Brix averages remain at 10-12, some 13. Most shippers are no longer gassing Navels. December is a good promotional month for 72’s and smaller. Shipping has now shifted from the Central California to Brawley. This is for loading only…the product is still coming from Baja Mexico now but Oberon San Luis and Caborca are around the corner, but will not start until Constitution’ is finished in the Baja. Prices at the moment are in the $30.90 to $32.90 range on 11/1 standard, lower prices on Jumbo. Ad prices from Peru remain in the $30-$40 range for next week’s Christmas pull. Demand is good but transportation is dictating the prices growers are getting for Yellow’s in general. Christmas trees are almost done shipping so the demand for trucks will start to subside. Medium and smaller onions are scarce and are commanding higher prices. Demand is good but transportation is still the governing factor for demand. Rio Rico, Az, and Weslaco, TX- will begin receiving White Onions in light supplies and then the deal moves to Morelos nin-month and to to Tamaulipas in January where it will stay until the Texas Rio Grande Valley starts in March. Cauliflower The market has been firm with lighter supplies due to cooler weather. Quality has been good with some insect pressure reducing yields. Broccoli Production has begun to improve with many shippers starting production in the desert areas. Expect the market to remain strong . Demand has been strong especially from the desert. Leaf, Iceberg has become extremely in demand with prices elevated to unsustainable levels. as Romaine Production rebounds from the CDC advisory expect volatility to continue for another couple weeks or beyond. Limes: Improved weather in Mexico should help increase Supplies. Quality has held steady despite weather interruptions. Mandarins: Production has begun and is expected to ramp up in time for The Holidays. Prebook now to reserve your Christmas volume. Carrot Production has been steady with good supplies . Demand is ramping up quickly so continue to plan ahead to get full coverage. Lettuce market continues to hold tight as unseasonably cool weather circulated into the desert production areas tightening strained supplies Fields already stretched as shippers reached to fulfill customers needs now have further slowed due to daily frost delays. Also potential showers on Thursday could lead to further harvest delays. Next week should bring cool but not severe cold which should help supplies slowly ramp up which is a good thing based on the historically unsustainable high levels currently. Expect continued volatility with the likely potential for the market to correct even with expected improving demand. Quality from the desert continues to vary with many soft puffy heads and light texture as shippers reach for supplies. Demand for Romaine has slowly, albeit better than expected , returned as consumers fill their Salad bowls. Updated labeling , clearly defining production by Country , State and now Counties or Valleys has helped consumer confidence although not yet fully. As expected Green leaf and Red leaf demand went through the roof , and now that romaine has been “reinstated” demand for Green and red leaf should ease but both have been cut so far ahead to fulfill overwhelming demand with cooler weather forecast expect lighter supplies to coincide with continued rising but foreseeable correcting markets. Domestic production from Northern Coastal region continues to be strong. The market has held mostly steady with heavy demand helping keep prices firm. A few quality issues from insect pressure remain but overall quality is good. Oxnard is now the primary growing location as of this week. Salinas production has mostly come to a close for the year. Quality in Oxnard is good although colder weather in the forecast could result in some blistering of the stalks. Product is being transferred to Yuma on a daily basis for an up-charge. We expect this market to remain strong through next week as the Christmas pull comes into effect. The main growing areas which include Salinas, Santa Maria, and Oxnard have all experienced wet weather and cold temperatures Mexico saw some rain in the berry growing regions which has slowed down production. Supplies are light and prices reflecting our situation right now. Shortages will continue over the next few weeks and most likely into and past the holidays. Forecasts are calling for more rain this week. Exact amounts of precipitation vary by region, but all areas are expecting light to moderate rainfall. This will only further accentuate the already dismal supply situation. We can expect to see gaps in harvest and supply as well as compromised quality for the next 10 days. Order fulfillment will be a challenge and will be subject to daily availability and market price. Quality will continue to be a challenge as well. Expect limited shelf life and bruising on most berries. Good supplies on Blackberries swill continue into next week. Despite the slowed production from Mexico over the weekend, blackberry supplies didn’t seem to be affected at all. There will be plenty of fruit available in all loading locations. Markets are actually softer this week with many suppliers offer deals to keep the product moving. Supplies are decreasing on raspberries. Production slowed to a crawl over the weekend in Mexico due to inclement weather. Even with improved weather on the horizon, supplies will not increase that much as we have we moved past the first peak of production and supplies will actually slightly for about 2 more weeks until we reach another cycle peak with the plants. Blueberry supplies have been lighter this week and markets are higher. This is a result of the cold wet weather in Mexico and the delay of arrivals from offshore supplies. As a result of the recent rains in central Mexico, production has slowed down and has had an impact on available fruit this week. Additionally, due to some hail in Peru and delayed boat arrivals to the U.S, we are seeing a small and presumably short-lived supply gap this week. As we anticipate more arrivals next week and increased production in Mexico, we can conversely expect more availability and cheaper prices. Chilean production is also increasing moving forward. There seems to be a little more product available this week. Some of the seasonal shippers out of the Imperial Valley have started in a light way. Cooler temperatures are forecasted for the end of the week that could slow growth. Quality out Santa Maria and the Desert growing areas has been fair. Light yellow cast and some soft shoulder is being spotted but is not prevalent through out the industry. Market will remain strong as we finish out the week. The production gap we are currently in should start to close up the second week of December as production out of the Imperial Valley and Yuma comes on line. We are starting to see increased production out of Central Mexico and quality is getting better as they are getting into fields that are clean of water spotting cause be early season rains . The weather forecast for Central Mexico is for some cooler temperatures this weekend and into early next week but it should not hinder production. Lime supplies and market prices are expected to be steady for the coming week. Supplies will tighten up in mid December through the first of the year. We are forecasting market prices on big sizes to drop and small size pricing looking to climb during this period. The first arrivals of imported stone fruit season is expected for the end of December/first of the year. Over the past week, the Green seedless market from California has risen $2-4/ cases. Many growers report their actual yield vs. their forecast came up short on the Autumn Kings. On the Red Seedless, good supplies are available and will be into early January. The Red Seedless market will be steady to slightly higher for next week. Black Seedless are winding down quickly. Pre-book any supplies you may need for the Holidays. Overall going forward, we will see some split markets depending on age and quality of the fruit being shipped. The predominant varieties are: Red Seedless- Scarlet Royal, Allison, & Crimson, Green Seedless – Autumn King, and Black Seedless – Autumn Royal. Production has started to improve mostly on iced Green Onions but ice less supplies as well. Demand should ramp up for Christmas and New Years so take advantage of deals before the traditional New Year labor slow down in Mexico. Quality should also improve with an improvement in weather. Current volume has been adequate to keep up with demand. Weather is Mexico is getting colder and rain is in the forecast for some growing areas. With the factors in play, we expect markets to strengthen next week as demand increases for the holiday. Quality will be affected by high moisture and frost. Good supplies available from the West Coast out of District 1 and District 3 along with the Spanish Imports now hitting the East Coast. Market pricing especially on choice grade fruit was lower this week. Next week, we are forecasting for pricing to be steady on good demand. The quality of the lemons from all areas has been great and is expected to remain so for the coming week. Cantaloupes have changed little, except the non contracted spot market prices are up a bit. Supplies are quite short. Arizona for all intents and purposes is done, but for a few scraps of mostly smaller sizes. Mexico continues to be in non season mode with light supplies that are mostly being used in their own backyard. That leaves the Caribbean basin as the main source of supply and Guatemala is the only area going. Most all of the Guatemalan fruit is contracted in the 111-13.00 range loaded. Sizes are running large. Yields are light and the open spot market has gone up to 22.00-25.00 fob for the few melons that are unsold at this point. Next week should be another short week. Honduras, the next offshore area up is not expected to start until the middle of the month, arriving the last week of December. We look for another week of short supplies available for the open, non contract buyers and high prices. Supplies are ample in Mexico and light other areas. Demand has slowed due to winter’s arrival. Quality is okay, sizes running a bit smaller. Offshore still has only one areas going and overall supplies there are light due to spotty production. Arizona, like with the cantaloupes are harvesting the last scraps of late fields with smaller sizes and scarring. Next week Arizona will be finished. Mexico should still ship with smaller sizes. Off shore production will be steady and peaking on large sizes (jbo and regular 5s). Demand will be fair due to the nonseasonal nature of the product and consumer focus on winter holiday foods. We look for a steady market on honeydews with some dealing on Mexican product. California Navels have hit their stride with promotable ad volume and good eating quality available. Peak sizes for the rest of December are expected to be 88/72/113’s. Brix readings are 11.5-12.5. The cooler weather has brought on the natural color so we will be out of gas fruit soon. The only limiting factor will be the occasional rain storm passing over the San Joaquin Valley. Market expected to be steady and we can gladly accommodate your needs. Cauliflower The market has been firm with lighter supplies due to cooler weather. Quality has been good with some insect pressure reducing yields. Broccoli Production will be light until full transition to the desert takes affect. Expect the market to remain strong . Demand has been strong especially from the desert. Most Herbs and Bunching Green production continues to be limited until full transition to Arizona and Mexico takes place in coming weeks. The markets are expected to remain strong through December. Leaf, Iceberg has become extremely in demand with prices elevated to unsustainable levels. as Romaine Production rebounds from the CDC advisory expect volatility to continue for another couple weeks. Oranges Navel production continues to improve although sizing profile is still running below normal. Expect prices to ease heading into the Winter Citrus season . sizing profile will likely remain smaller through November. Grapefruit: Production is light and desert supplies expected to ramp up next week. While supplies from Mexico are expected to improve this week. Mexico: Production from Mexico should start to ramp back up from the labor shutdown. Rain is forecast for the area this week which could hamper production but promotional supplies are expected to be available through once supplies fill the channels. Green & Red Central Valley supplies are winding down for the season Some storage supplies will remain but quality will certainly be less after a strong run. Carrot Production has been steady with good supplies . Winter advisories forecast for the next couple weeks will likely lead to reduced supplies Continue to plan ahead to get full coverage. Potato supplies will continue steady with most supplies moving into storage on Gold, Red and Russets. Onion demand has been good and production has finished as supplies will be shipped out of storage. Expect quality to be good through December but could decline by the beginning of the new year. As anticipated the Iceberg Lettuce market escalated to historical levels amid the romaine advisory by the CDC. Demand for leafy veg items, especially iceberg, immediately spiked and prices reflected the lack of availability as buyers scrambled to fill their “Salad Bowl”. Now that there has been some resolution to the Romaine situation, demand and prices for iceberg should ease although now the desert forecast for below normal temperatures and precipitation along with possible frost next week could further “muddy” the situation. Expect continued volatility with supply and demand curves defying conventional wisdom. Quality from the desert continues to vary with many soft puffy heads and light texture as shippers reach for supplies. The unprecedented CDC Romaine advisory affected ALL levels of the Produce Industry with many suffering significant losses. Now the FDA and CDC has released the voluntary ban the built up synergies have the markets adjusting to a variety of factors and seeking a sustainable level. Updated labeling, clearly defining production by Country, State and now Counties or Valleys, will further help customers trace their supplies as diligently as Growers have the past decade. As expected Green leaf and Red leaf demand went through the roof, and now that romaine has been “reinstated” demand for Green and Red leaf should ease but both have been cut so far ahead to fulfill overwhelming demand with cooler weather forecast expect lighter supplies to coincide with easing markets. There are adequate supplies available in multiple growing areas. Salinas has product available and is looking to move product to finish out the season. Santa Maria and Oxnard areas are currently in full production and taking offers on load volume. There is a better balance of pricing between sizes this week. Quality is very nice with very few problems to report. With widespread rain hitting the west coast we could soon see gaps in production and muddy product. Rain is expected to continue off and on through the weekend and will certainly slow weekend harvest. Supplies will continue to decrease going into the weekend. Weather forecasts are calling for rain in all growing regions including California, Mexico, and Florida. California and Mexico are expected to get the heaviest rainfall. We expect California to completely sit out of harvest on Wednesday and possibly Thursday due to the inclement weather. This storm may put an early end to the Santa maria season and putting the the main focus on Oxnard. With Salinas and Watsonville finished,fruit will be limited. Additionally, with Mexico’s already light volume, the rain may set the industry into a very challenging supply shortage for the next 2 weeks. Quality will be affected by the rain and we will see soft fruit that is easily bruised. Pin rot will be the norm. Supplies will be light through the weekend with many suppliers being in a prorate situation. Mexican blackberries are in good supply. Markets have been flat with aggressive deals loading in Texas. There is rain expected over the next 3 days, so we can expect supplies to lighten up. Even with the fruit under hoops, colder temperatures, combined with rain will slow growth and production. Production has slowed down this week as we moved throughout first peak production window in Mexico. Supplies will be consistent into next week, barring and rain interruption. Mexico is forecast for heavy rains for the next 48 hours. Even with the fruit under hoops and protected, harvest will be hindered by limited labor and poor working conditions. Colder temperatures will slow growth of the plants. We may see a small gap in supply over the weekend and early next week as we navigate this storm. Market prices have come up slightly and will remain firm. Blueberry supplies have been consistently steady.. We have plenty of fruit arriving from Argentina, Peru and now Chile. Mexico. There maybe a lull in production because of the forecast for upcoming rain. Markets have started to climb this week with slight increases on both coasts. Depending on how much the rain affects the Mexican supply, we maybe be in for a spike in pricing next week. Light supplies will remain in effect for the next 10 days. There should be increased production out of the Imperial Valley and Yuma by the middle of December. Quality out of Salinas and Santa Maria has been fair. Light yellow cast and some soft shoulder is being spotted but is not prevalent through out the industry. Market will remain strong as we finish out the week. The production gap we are currently in should start to close up the second week of December as production out of the Imperial Valley and Yuma comes in line. We should start to see increased production out of Central Mexico next week. The weather forecast for Central Mexico is calling for some rain and cooler temperatures this weekend and into early next week but hopefully it will not hinder oncoming production. From Mexico, Lime supplies are mostly good and should be through mid-December. Market pricing is steady. Supplies expecting to tighten up mid-December through the first of the year. The smaller sizes will be limited in supply during this time frame and prices will climb higher. Production continues steady with improving demand especially on the Heirloom variety. Most varieties currently are seeded or Thornless. at reduced prices. Production is peaking on Medium size profile Some frost has been reported in Salinas and Mexico which will impact quality. Forecast for frost in the desert next week could further hamper quality. The grape harvest from California is generally completed. There is plenty of inventory to promote grapes through December. In regards to quality, there has been condition issues with some of the crop that has been held far too long in cold storage. Most all of this fruit is being dumped into the terminal market at ridiculously low prices. On grapes of good to excellent condition, the market is steady on seedless reds and blacks while the green seedless market is starting to make a move higher on the best available greens. The predominant varieties are: Red Seedless- Scarlet Royal, Allison, & Crimson, Green Seedless – Autumn King, and Black Seedless – Autumn Royal. Production has started to improve mostly on iced Green Onions but ice less supplies should improve heading into the weekend although cooler weather in Mexico will lessen the impact. Quality should also improve with an improvement in weather. Stronger markets industry on squash this week, especially on yellow and grey varieties. Mexico is transitioning growing regions, resulting in supply gaps over the coming week. Cooler weather and rain showers are expected into next week, which will affect quality. Shipping has now shifted from the Central California to Brawley. This is for loading only…the product is still coming from Baja Mexico. Prices at the moment are depressed in the $18- $19 range on 11/1 standard, lower prices on Jumbo. Peru is experiencing heavy volume in ships arriving daily with 30 to 40 containers on each load. Pricing for the Christmas pull has lids in the mid $30’s and, depending on demand, will adjust downward. Western Colorado and Utah were seeing “phenomenal demand” for their onions, and though trucks were tightening up, the feel was that the market was getting better. Crop updates that week said the Imperial Valley was finished planting, and shippers expect a “manageable crop” with fewer planted acres. The Texas Rio Grande Valley was also finishing the last of its planting and replanting, with one shipper telling us a normal start time and normal crop are anticipated. Mexico is in the ground, with some shippers expecting loads in mid- to late January and others around the first of February. The demand for California/Arizona lemons is strong. Fruit is peaking on 140/165/115 size in both growing regions. The quality of the product as been excellent and is expected to remain so for the near future. The market is forecasted to remain firm for the coming week. As the Spanish/Turkish imports arrive over the next few weeks, we could see the market ease a bit. We will keep you posted. Mexico continues to wind down and should be for all intents and purposes a non factor. Ditto for domestics and the last dregs are being harvested this week. So we are not dependent almost completely on the offshore deal, which is harvesting only in Guatemala at this point. Guatemalan fruit seems to be imported by one big player and a couple of much smaller volume deals. Sizes are running large. Volume has been adequate. Contracts have been taking almost all the volume, leaving just a small percentage open to the spot market sales. Contract pricing is in the 11.00=12.00 range, but the spot market stayed steady in the 19.00-22.00 range. Little looks to be changing for the next couple of weeks. Guatemala will be the main if not the only area producing. Demand will be mostly contract and spot market should remain on the snug side with fair demand and steady prices. Around the 3rd or last week of December we should see some other production areas come on line with increased volume and adjusting prices. Honeydews are dribbling in and lagging in production from Guatemala, and that trend looks to stay in place for the next week. Mexico will continue to produce but have light volume. Domestics are history. Sizes off shore are running very large in the jbo 4 and 5 range with a few 6s (mostly jbo6) Mexico has a more democratic run of sizes but light volume. Prices have been firm with deals only showing up on jbo 4s off shore. Mexican volume should be decreasing next week as their volume normally does in response of off shore’s normal increase. But the increase off shore looks to be delayed about a week of 10 days. Once again contracts are dominating demand and spot market is just following along. We look for little change for the next couple of weeks and perhaps a price adjustment toward the end of December or the first of the year. With the Thanksgiving holiday last week and rain/showers in the forecast today through Friday, the navel harvest has been irregular and combined with good demand we are seeing supplies tightening up a bit. The size structure is still running small with sizes peaking at 113, 88, 138, and 72. 88’s and larger are moving out quite well with deals available 113’s and 138’s. Over the next couple of weeks, prices should remain steady to slightly higher if we get a rain market. Brix averages remain at 10-12, some 13. Broccoli Production will be light until full transition to the desert takes affect. Expect the market to remain strong. Demand has been steadily improving. Most Herbs and Bunching Green production continues to be limited until full transition to Arizona and Mexico takes place in coming weeks. The markets are expected to remain strong through November. Grapefruit: Production is light and desert supplies expected to ramp up next week. While supplies from Mexico are expected to improve this week..
Mexico: Production from Mexico has been shut down for the past 3 weeks with inventories completely wiped out. The discord among growers, laborers, cartels and the Mexican government is expected to end this week although unconfirmed. Additionally rain is forecast for the area next week which could further hamper production. Promotional supplies were expected to be available through November but with the current unrest supplies are on hold. Green & Red Central Valley supplies continue to be excellent along with outstanding quality. Specialty varieties, especially reds are exceptional size and brix levels. Possible rain in the forecast next week could affect quality but inventories are reported to be strong. Choas & Confusion are replacing Transition as this weeks buzzwords. With the latest romaine advisory by the CDC complementary commodities especially iceberg lettuce will be in extreme demand As this newsletter goes to press prices have doubled and will likely double again before next week. Production is centralizing in the desert with overall industry volume expected to increase. Even with improved supplies iceberg will be in an extreme demand exceeds situation for an extended period. Quality from the desert has been variable with many soft puffy heads and light texture. The weather has been good so quality should improve quickly. ALL production of Romaine related products will be halted immediately upon further investigation from government agencies. Until then all salad substitutes will be in extreme demand. Expect Green leaf and Red leaf demand to leapfrog Romaine and triple in price over the weekend. Cooler weather has improved Quality but seeders remain as well as occasional yellow fringe and weak texture. Near ideal weather should improve quality heading into next week. Domestic production from Northern Coastal region continues to be strong. The market has held mostly steady with heavy demand for Thanksgiving helping keep prices firm. A few quality issues from insect pressure remain but overall quality is good. Volume has sustained through the Thanksgiving push and product is still available out of Salinas, Santa Maria and Oxnard areas. Lighter supplies on small sized celery. Product is being shipped down to Yuma for loading purposes at premium pricing. Good overall quality in all loading regions, although there have been some ice related issues reported. Run offers by us for post holiday business. Harvesting crews will be limited due to the Thanksgiving holiday. The shortened week will artificially tighten up supplies combined with rain in the forecast, the short term outlook for berries is grim. The Salinas and Watsonville area will be very limited this week and the inclement weather may finish the season. The Oxnard area is forecast for rain on Wednesday and mostly sunny skies with highs in the 60s and lows in the 50s. The Santa Maria area is forecast for rain on Wednesday with the balance of the week to be partly cloudy, with highs in the 60s and lows in the 50s. Salinas/Watsonville is forecast for rain on Wednesday and Friday with partly cloudy skies the rest of the week, with highs in the 60s and lows in the 50s decreasing to the 40s for the weekend. Oxnard fruit has occasional bruising, soft shoulder, windburn and over ripe with average counts of 22 to 24. Santa Maria fruit has occasional bruising, white shoulder, soft shoulder, misshapen and overripe and average counts of 24 to 26, some smaller and larger depending on variety. Salinas/Watsonville fruit has occasional bruising, white shoulder, misshapen and overripe with an average count of 26 to 28 and occasional smaller. The strong market created by cooler temperatures in all growing regions will last well into next week. Please try and give us advanced orders as day of orders are difficult to fill. Light volume due to cooler temperatures and transition has created a demand exceeds situation. Not only is California experiencing cooler temperatures but Central Mexico has also been battling below normal temperatures for this time of year. We expect the market to stay strong for the next ten days. We will have limited supplies of our Shui Ling crowns available next week. From Mexico, ample supply of limes out there with good volume on all sizes. Quality has been fair. Market prices are steady. Production continues steady with improving demand especially on the Heirloom variety. Most varieties currently are seeded or Thornless. at reduced prices. Production is peaking on Medium size profile Some frost has been reported in Salinas and Mexico which will impact quality. The Imported Stonefruit season will kick off in December. No major shifts in supply, quality or markets for the coming week . There is plenty of promotional opportunities and volume spot buys available. The eating quality remains high. The predominant varieties are: Red Seedless- Scarlet Royal, Allison, & Crimson, Green Seedless – Autumn King, and Black Seedless – Autumn Royal. Production has started to improve mostly on iced Green Onions but iceless supplies should improve heading into the weekend although cooler weather in Mexico will lessen the impact. Quality should also improve with an improvement in weather. Good supplies on Italian squash out of Nogales through the holiday. We expect this to continue through this month and light as colder weather hits Mexican growing areas. Yellow squash is much lighter this week due to gaps in growing areas. Quality is marginal, with many shippers now packing more #2 product on yellows. We expect better volume around the second week of December as winter growing regions ramp up. Production Western Mexico has been strong with strong Holiday demand helping firm pricing . Quality has shown improvement .Cooler weather in Mexico will likely tighten supplies after Thanksgiving. Lemons are currently being harvested from the Desert (District 3) and the San Joaquin Valley (District 1). Supplies are steady. There is a good run of sizes available with the peak sizes being 115/90’s in the Desert and 140/165’s from the San Joaquin Valley. The fancy to choice ratio is running 70/30. The quality from both districts has been great. Market prices expected to be steady to slightly higher. Keep in mind that labor continues to be an issue that we are monitoring closely. It’s harder for growers to find pickers each day reducing the amount of fruit that can be packed. Navel Oranges – Our 2018-2019 California Navel Orange Season is in full stride. The size structure continues to run small with sizes peaking at 113/88/138’s and 72’s. With that said, the growers are still coming up with a good amount of large sizes (56’s & larger). The fruit is eating real good for this time of year brixing as high as 12.5. The market seems to have settled into the current pricing comfortably. If there is any opportunity to drive prices lower, it will be on the smaller sizes .Looking ahead, the growers are reporting a large amount of cracking as the oranges grow quickly. This could affect future yields. Cauliflower The market has been firm with lighter supplies due to cooler evenings. Quality has been good with some insect pressure reducing yields. Broccoli Production will be light until full transition to the desert takes affect. Expect the market to remain strong . Demand has been steadily improving. Leaf, Iceberg will become extremely high demand with prices expected to rise substantially as Romaine Production comes to a halt. Grapefruit: Production is light and desert supplies will be limited through November. Mandarins: Production has begun and is expected to ramp up in time for The Holidays. Prebook now to reserve your Holiday volume. Green & Red Central Valley supplies continue to be excellent along with outstanding quality. Specialty varieties , especially reds are exceptional size and brix levels. Possible rain in the forecast next week could affect quality but inventories are reported to be strong. Carrot Production has been steady and improved weather could further enhance supplies heading into a heavy Holiday demand period. Continue to plan ahead to get full coverage. Onion demand has been good and production is steady .Quality has been very good The market continues to be steady, especially on Red and White. Transition will be completed by this weekend with most shippers focused on a single production area. Overall supplies will tighten with production limited by light weights and labor availability in Yuma. Quality from the desert has been variable with many soft puffy heads , light texture and fringe burn .The weather has been good so quality should improve quickly. Processors continue to buy excess acreage to make up for diminished bin weights which will keep prices artificially inflated. Las Cruces, NM production will wrap up production this week as well. Romaine and especially Heart demand continues to be strong with steady but transitioning supplies. Quality has varied widely with seeder growth and mildew pressure from the Northern districts while the desert has shown some yellow fringe and weak texture. Near ideal weather should improve quality heading into next week. Overall Romaine acreage appears to be off in Yuma to start the season. Green leaf and Red leaf demand has been good but lagging behind Romaine. This market is red hot as the thanksgiving pull continues. Production is decreasing as shorter days and cooler nights come into play. We currently are in the highest demand period of the year. Quality remains very nice with good color and condition industry wide. Product is coming out of Salinas and Santa Maria / Oxnard areas. Strawberry supplies will continue to decrease into next week. The drop in supplies started over the weekend and has now lasted through the front part of the week. This was a direct result of the wildfires in the southern part of the state. Unfortunately, the situation is more severe than anticipated and supplies will be affected for the remainder of the week. The winds have not subsided and the fire continues to spread. Air quality continues to diminish and the county officials have ranked it “unhealthy”. Shippers are canceling or delaying harvestharvest and workers are not showing up. This is having a major impact on the volume of fruit being harvested and production is down 20-30%. Because of the delays in harvest and decreased production, we can expect to see limited supplies of strawberries in all California loading locations. Suppliers are warning of possible fill rates on market fruit and are advising of long wait times at the coolers as a result of limited production, same day harvest, and increased demand. Market prices have jumped up in all areas and will remain firm until we get past this rough patch. Mexico production, however, is gradually increasing with good arrivals of fruit into McAllen, TX. If loading in McAllen is an option, that would be your best option for order fulfillment. On the east coast, we are seeing some light harvest already get started in Florida. We expect supplies and quality to improve as we move forward. Lighter supplies and fruit volume will decrease into next week. Colder temps at night night will help firm fruit up. This will help as bruising was the main defect with the Organic fruit. There is a forecast for a heavy and cold storm to hit the East Coast next week. This could curtail demand for the Berry category in general. Supplies will be good into next As we phase out of domestic production and focus primarily on Mexican fruit, we can expect to see improved supplies and quality. Mexico is gradually building up momentum and that fruit is making its way to McAllen, Oxnard, Yuma, and the east coast. Quality is being reported as strong and market prices have been steady. Promotional opportunities will be available over the next 2-3 weeks. Supplies are plentiful. Supplies have certainly improved and prices are lower. On the east coast, in particular, shippers have seen a flush of fruit arrive via boat and plane. These import blues are coming from Peru, Argentina and now light volume from Chile. Most of the inventory is in Miami and prices have dropped this week with plenty of aggressive prices available for spot buy opportunities. On the west coast, we are seeing better supplies of Mexican fruit as well as some South American fruit in Los Angeles. Market prices on the west coast continue to be higher than the east coast but have also come down from weeks past. Quality is being reported as strong in all areas. We expect to see continued improvements in all areas moving forward. Blackberry supplies have steadily improved over the past few weeks. Mexico is the primary source of production and that fruit is working its way through every distribution channel. McAllen has the most available fruit and so we are seeing some aggressive prices being offered to move volume. California and the east coast is a little more expensive as the fruit is being transferred to cover demand. We will have promotional opportunities for the next 2-3 weeks. Extremely Limited!!! Cauliflower will be very difficult to procure for the remainder of this week and going into the first part of next week. Cooler temperatures and a gap in production between the end of the Central Coast production and the beginning of the Desert deal has sparked this current situation. Pre -booking a day or two in advance is highly recommended. We have seen a slight increase in price and demand this week. A perfect storm of cooler nighttime temperatures, transition and holiday demand has created this stronger market. Prices will remain at this level through the middle of next week. The cooler temperatures are starting to create some purple color and knuckly domes. Production out of Central Mexico has been limited again due to cooler temperatures. We have been receiving limited supplies of our “Shui Ling” crowns and expect this to continue into next week. Plenty of volume available on all sizes. There a wide range in quality with quality being mostly fair to good. Market prices expected to be steady for the coming week. As expected supplies got rather short this week as a supply gap between domestic and off shore became reality. Westside is completely done. Desert is virtually done as well, with only a few clean up supplies hanging around and running small sizes. Mexico is still harvesting but their deal as well is winding down with sizes peaking on jbo 9s and 9s. Offshore melons started arriving in Florida ports from Guatemala, but it is early and there are very few. They too are running mostly 9s and jbo 9s size. Demand has been a bit better for the holiday but certainly not robust or scintillating. That being said prices are higher this week in all areas. Next week domestic production should be finished. Mexico supplies look to remain light at weather there is much cooler than normal. Offshore supplies should increase but not dramatically. Demand should be quiet after the holiday, but will feel better than due to short supplies. We look for a steady and firm market until offshore supplies get into full swing sometime in December. Lack of demand continues to keep a lid on the honeydew market. Supplies are light as domestics are finishing up. Mexico however continues to have adequate supplies especially in the face of anemic demand. Off shores will not start for another couple of weeks. That being said supplies could be a bit lighter next week with disrupted crossings from Mexico due to holiday next Thursday and subsequent post holiday lull in activity. We look for the market to be steady to slightly higher next week, but with no dramatic changes. Washington is shipping Jumbo Yellow 50# bags at anywhere from $4.50 to $5.50 fob Othello WA. Red Jumbo 25# onions are in the $5.00-$6.00 range with deals being made on volume. Idaho and eastern Oregon seem to be holding in the $5.00 range and deals are being made on multiple load volume there also. Whites are in the 12.00-13.00 range ad seem to be holding steady. Availability is good in all colors and sweets in both conventional and organics with good quality coming out of storage. Demand has picked up on smaller onions. Transportation is still relatively high now that Christmas trees will start shipping from the Northwest causing more of drain on available transportation. The Imported Stone fruit season will kick off in December. The harvest from California will start to wrap up over the next 10-12 days. Promotable ad volumes will be available through the month of December. Quality and condition on all varieties is good. The market is steady. The predominant varieties are: Red Seedless- Scarlet Royal, Allison, & Crimson, Green Seedless – Autumn King, and Black Seedless – Autumn Royal. Baja Mexico is still shipping good supplies of 11/1 bunch Asparagus with ad pricing in the $18.90 to $22.90 range…prices for next week will start to rise to the $22.90-$28.90 level…some as high as $30.00+ for the Christmas pull. Peru on boats will continue with good supplies but air shipments could start to become scarce as space availability starts to decrease with the approaching holiday shipping. Mexican Lemons crossing at McAllen, Texas continue to have problems with rind breakdown and decay. Peak sizes on the Mexican lemon are 165/140/200’s. Expect Mexican lemons in the marketplace through December. From California, lemons are available on all grades and sizes. Peak sizes are 115/95/140’s. The market is fairly steady. Quality remains very good. Meyer Lemon are available if you are interested. Cooler temps have finally arrived in the San Joaquin Valley. This is helping to bring on color and reduce the gas times. The navels are coloring up nicely and the eating quality has been good with fruit brixing as high as 12. The market has adjusted lower on the smaller sizes while holding firm on 56/72’s. The packouts continue to run heavy to the Fancy grade (85-90% Fancy) with the size structure peaking at 113/88/138 followed by 72’s. 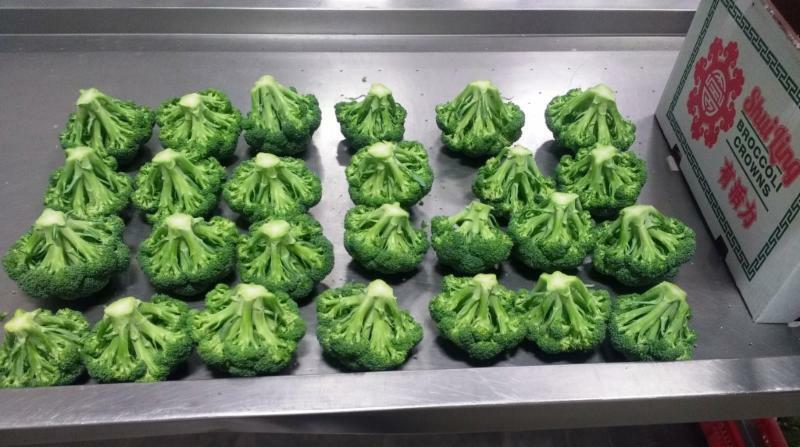 Broccoli Production continues steady with a strong market. Demand has been steadily improving. Leaf, Iceberg as well as Romaine Production has been limited , mostly due to quality with heavy insect and mildew pressure. Expect markets to continue to remain tight as heavy demand continues. Supplies are expected to remain volatile through November. Transition continues with production finishing in Salinas and just underway in Yuma AZ while Huron will continue for another week. Some shippers have overlapping production areas and have offered discounts to intensify buyers but overall volume is light to moderate. Huron continues to have the preferred quality with weight, size and color all excellent while Yuma is starting with good color but light and variable solidity.. Processors will continue to have the largest impact on markets as they alternately supplement and sell off supplies leading to increased volatility. Las Cruces, NM production looks to improve next week as they move past fields that were affected by heavy rains last month. Romaine and especially Heart demand continues to be strong with steady but transitioning supplies. Quality has varied widely with seeder growth and mildew pressure from the Northern districts while initial production from the desert has been well received. Some shippers are holding customers to 8-10 week allocation while others have sufficient supplies. Romaine acreage appears to be off in Yuma to start the season. Green Leaf and Red Leaf demand has been good but lagging behind Romaine. Domestic production from Northern Coastal region continues to be strong. The market has held mostly steady with heavy demand anticipated for Thanksgiving.. have resulted in significant volume deals .A few quality issues from insect pressure remain but overall quality is good. This market is becoming extremely active. Thanksgiving pull is among us and demand has picked up substantially. Production is slowing due to colder nights and shorter days. We are starting to see some mechanical defects normal for this time of year. There are more deals on large sizes, and smaller sizes are harder to find. Expect strong markets to continue through next week. Increasing supplies as we enter the 2nd week of November.. All shippers had anticipated November to be their shortest production month. However, with the current weather patterns in all growing regions, production has not slowed down. Actually, it continues to be above forecast. Salinas, Watsonville, Santa Maria, Oxnard and Central Mexico are all in production. Supplies are steady with plenty of promotional and volume buy opportunities available. Quality is being reported as good in all areas, but Santa Maria and Oxnard have proven to be the best fruit at this time. Shippers do not expect any major shifts in supply over the next 2 weeks as weather forecasts call for more sunny days and cool nights. Market prices are lower with spot buys opportunities available for the weekend. Good supplies are expected as we move into next week as Mexico production is increasing. We are seeing good volume of fruit available to load in McAllen, TX and Oxnard, CA. The domestic harvest has slowed down, but as expected, we will not see any disruption in supply as we transition to all Mexican production. Quality is being reported as very good and markets will remain steady. There has been a big shift this week in both supply and price. On the east coast in particular, shippers have seen a flush of fruit arrive via boat and plane. These import blues are coming from Peru, Argentina and now light volume from Chile. Most of the inventory is in Miami and prices have dropped this week with plenty of aggressive prices available for spot buy opportunities. On the west coast, we are seeing better supplies of Mexican fruit as well as some South American fruit in Los Angeles. Market prices on the west coast are higher than the east coast, but have also come down from weeks past. Quality is being reported as strong in all areas. Supplies are improving. We have moved past the supply shortages and Mexican production is getting up to speed. Domestic harvest is done. Initially, most of the fruit was being sold out of McAllen, TX, but we have seen it make its way out west and has helped fill the pipeline for orders loading in Oxnard. Quality is being reported as good with occasional red cell. Markets have been split; cheaper fruit in Texas and a little more expensive in California. I expect to see supplies continue to improve as we move forward. Prices are increasing as nighttime temperatures lower along the central coast of California. Lighter yields are expected for the remainder of this week. Most shipper will continue to ship out of Salinas and Santa Maria for the next two weeks. The market is slightly weaker but it does not look like it will fall too much this week as supplies continue to meet demand with not much oversupply. We do not expect much change as we enter the transaction period over the next 14 days. Quality has been good out of California, nice green domes with tight but fairly large beads. Central Mexico product is available out of Texas but quality has been an issue. The heavy rains that occurred during the beginning of the growing season has hampered some of the early product. Going forward quality should improve. Plenty of fruit available on all sizes. The quality has been mixed due to the recent rains. The market is steady to slightly higher but remains at promotable levels. Production continues steady with improving demand especially on the Heirloom variety. Most varieties currently are seeded or Thornless. at reduced prices. Production is peaking on Medium size profile. The market firmed this week, not from increased demand but from falling supplies. Blythe would down considerably and should be finished by early next week. Sizes in that area were quite large. Yuma has about 10 days to 2 weeks to go with sizes peaking in regular 9s. Phoenix will also have fruit until almost November but lighter supplies and smaller sizing. Nogales is shipping and peaking on 9s and jbo 9s with adequate volume. Their price structures have gone up to match or nearly match domestic levels. The harvest has started in Guatemala with one importer selling cornering those supplies until after Thanksgiving when others will start. Sizes look to be jbo 9s, 9 and 12s from there and they are expecting one load to arrive Miami next week. Demand should be lackluster in response to the prices and wintry weather that is coming into some of the more populated areas of the country. We look for a firm and steady to slightly higher market next week. A completely different story. Mexico supplies are abundant and peaking on 5s and 6s. Domestic supplies have been underwhelming all season, but with demand has been quite slow due to poor appearance of the fruit and the cheap competition from Mexico. These things look to change little next week. As with cantaloupes, there will be some Guatemalan fruit arriving with one supplier next week in Florida. Expected quality is being touted as good with sizing running Jbo 5s. 5 and some 6s. Prices being quoted are quite high at this point. With Mexico going strong and off shore coming in and some continued production domestically, supplies look ample. There is nothing in the offing that should pique demand, so market should stay dull and steady next week. Washington is shipping Jumbo Yellow 50# bags at anywhere from $4.50 to $5.50 fob Othello WA. Red Jumbo 25# onions are in the $5.00-$6.00 some as high as $7.50 range with deals being made on volume. Jumbo Whites are $10.00-$11.00 range in Washington. Idaho and eastern Oregon seem to be holding in the $5.00-$5.50 range and deals are being made to multiple load volume. Whites are in the $12.00-13.00 range seem to be holding steady. The tone of demand is “Fair” according to most shippers with the hope of Thanksgiving demand rising next week. Best Deals on count cartons are running from as low as $6.50 on 40 count cartons all the way up to $8.00-9.00 on 80’s, 90’s, and 100’s. 10# poly and 5# poly are in the $6.00-7.00 range with bins growing in more popularity. We are currently in transition. The California Stonefruit season is virtually done with very little left in storage. The Imported Stonefruit season will kick off in late December. The October 31st USDA Table Grape Storage Report stated we have 18.1 million boxes of grapes in storage vs. 13.6 million a year ago. That is an increase of 33% with a ton more of late season grapes yet to be harvested. So it will be more of the same. Expect excellent supplies on good quality for all colors. With this, we forecast pricing to remain steady for the next 3-4 weeks including the Thanksgiving holiday. The Autumn King is the predominant green seedless variety with Scarlet Royals still the predominant red seedless variety. At this point look for good volumes into December with pricing at very promotable levels. Production continues light with continued recent heavy rains further hampering harvest . Supplies are expected to remain tight through the month but should slowly improve with expected increase in demand next month. Increased production from Western Mexico has started to materialize as rains fade and the market has eased. Many shippers are expecting good demand in anticipation of Holiday promotions and have already firmed pricing. Quality has shown improvement. Production from Peru has also begun to increase. The Mexican lemon crop is past its peak. The Mexican fruit is looking tired and arrival issues are steadily increasing. California supplies are steady with fruit being clean with good quality from both the Desert and the San Joaquin Valley. Peak sizes are 140/165/115’s. Please keep in mind that the San Joaquin Valley (District 1) has started a month earlier than normal. This could make transition to the offshore crop in early summer 2019 tricky as there will be less fruit available. Shippers are now packing volume. 48’s through 72’s are light in supplies on good demand. 88’s are in moderate supply with good demand yesterday with a few ads taking hold. 113’s, 138’s, and 163’s are fairly heavy in supplies with opportunities to drive prices lower on volume. Weather is expected to remain mild and with no rain for the next 10 days. The brix averages are 10-11 with the oranges eating well so early in the season. Gas times are coming down now averaging 72 hours. Pack outs have been running 85% Fancy and 10% choice. Production in Mexico continues and quality is improving daily. There are plenty of deals on Italian squash and yellow straight neck out of Nogales and Mcallen Texas. Grey squash is also available in both areas. Supplies are good; it is a buyers market and shippers are looking to deal on both #1 and #2s. Most Herbs and Bunching Green production continues to be limited until full transition to Arizona and Mexico takes place in coming weeks. The markets are expected to remain strong with increased pressure from East coast demand. Leaf, Iceberg as well as Romaine Production has been limited , mostly due to quality with heavy insect and mildew pressure. Expect markets to continue to advance as demand increases from the east. Supplies are expected to remain volatile through November. Mexico: Escalating discord among growers, laborers, cartels and the Mexican government continues to hamper production and artificially pushing prices higher. Improved weather should help quality if the fruit is allowed to be harvest within a short period of time. Promotional supplies were expected to be available through November but with the current unrest supplies are on hold. Green & Red Central Valley supplies continue to be excellent along with outstanding quality. Specialty varieties , especially reds are exceptional size and brix levels. Onion demand has been good and production is steady with improving demand .Quality has been very good The market continues to be strong, especially on Red and White. As transition continues from Salinas to Central Valley ,California and now to the Arizona deserts, supplies have been accessible but light. Yuma, AZ is expected to start next week while Salinas and Huron CA are forecast to go through mid November varying by shipper. Most growers are skeptical they’ll be able to cover contracts and are holding orders to 8-10 week averages . Quality in Salinas has been fair while Huron has been excellent. We expect Yuma to have variable size and quality to start as many fields experienced heavy rains and flooding last month. Prices have already spiked in anticipation and could head higher if demand improves although Processors will continue to have the largest impact on markets as they supplement supplies during the upcoming transition. Expect volatility to last through November. Las Cruces , NM production looks to improve next week as they move past fields that were affected by the same heavy flooding last month. Romaine and especially Heart demand continues to be strong with steady supplies. Increase pressure from the rising iceberg market will pressure Romaine markets higher. Demand has improved from all parts of the country. Quality has varied with a return of seeder growth. Transition to the Southern CA , Arizona deserts will take place by the week of November 12th with only a handful of shippers .Expect similar allocation of Romaine through mid November. Green leaf and Red leaf demand has also started to improve and supplies will also be sporadic through transition. Domestic production from Northern Coastal region continues to be strong. The market has held mostly steady although surging supplies ahead of Thanksgiving promotions have resulted in significant volume deals .A few quality issues from insect pressure remain but overall quality is good. Regional production continues from Eastern Canada for another week. This market is gaining strength, resulting in higher pricing industry wide. Shorter days and colder nights are slowing production. Demand is increasing as customers begin stocking up for the holiday season. Expect strong markets to continue as demand increases in November. Quality remains very nice with very few issues to report. Salinas and Santa Maria are the main growing areas. We have several areas in production at the moment. Salinas / Watsonville will continue to harvest through November or until our first major rain/freeze. The quality in this area is fair as we are approaching the end of the season. Market prices are lower than the other loading locations because of quality and the industry is transitioning south. I expect to see some aggressive spot buy opportunities in this area to help blow through some product over the next 2 weeks. Santa Maria continues with consistent harvest, but we will see volume start to trend down over the next 2 weeks as most shippers focus on moving production toward Oxnard. In Oxnard, we will see an increase in production over the next 3-4 weeks. Shippers are breaking into new crop and we expect quality to remain solid, barring any major weather events. Market prices in both Santa Maria and Oxnard seem to be in line and are slightly higher than Salinas/Watsonville. Finally, Mexico will slowly ramp up over the next 2 weeks. Most of this product will be sold out of McAllen, Yuma or transferred to the east coast. Market prices will be in line with Oxnard and quality is expected to be good. Florida production will start late November. Consistent supplies, quality, and markets on raspberries. We have both Domestic and Mexican production currently. The domestic harvest will start to wind down, but Mexico will continue to improve. As we transition loading locations to Oxnard and Yuma, we do not foresee any disruption in supplies. McAllen is also an option for loading at this time. Market prices have been steady and will continue to be flat until we see our first peak in Mexico over the next 3 weeks. Supplies are finally beginning to improve. On the east coast, we are seeing consistent arrivals of Peruvian and Argentinean fruit with good availability in Miami. Quality is being reported as good. Market prices have started to decline this week with good supplies expected for the weekend. We can expect to see more aggressive prices moving forward. On the west coast, air arrivals and transfers of import fruit are coming in on a regular basis. Although the volume is not as high as the east coast, we do expect to see better supplies and lower markets moving forward. Additionally, Central Mexico production is slowly ramping up. Most of this fruit is being sold out of McAllen with some transfers to California. Market prices are higher but will decline as production picks up over the next 2 weeks. Chilean production is expected for late November. We have seen a slight decrease in harvest volume this week and prices are up $2.00 – $3.00 from last week at this time. Markets look like they will remain at current trading levels going into next week. Quality has been fair, there is some light yellow cast showing as well as the occasional soft shoulder. We have not seen any brown spotting in recent inspections. It is becoming a broken record but there is not much change expected in the market for the next 7 days. Supplies are matching demand and prices are really not fluctuating that much in either direction. Bunch followed by regular cut crowns are the most abundant. Short cut crowns are available but demanding $2.00 – $3.00 more than regular cuts. We have started shipping our “Shui Ling” crowns out of Central Mexico and are available for loading in Pharr, TX. This will be our first year shipping our ” Shui Ling Green” label. The product in this box will have slightly larger heads counting mainly 25-30 heads per carton. Quality on our first shipment was very nice. The rains did come as forecasted and with these recent rains we should see a larger size profile in 2 weeks. The peak size is 230’s followed by 200’s . 175’s are more plentiful while 150’s and larger still tight. The market is mostly steady. Quality remains good. The market went up this week on diminishing supplies. All traces of the Westside deal were gone. Mexico was going with lightish supplies and big sizes. Desert deal has started to ebb. Sizes in all areas are running large and peaking on jbo 9s with even some jbo 6s and some but not many regular 9s. 12s and smaller are virtually non- existent. Quality has improved but fruit still has a greenish cast however with less ground spots. Demand was still on the lackluster side but felt better as there was less product available. Offshore may have some arrivals in Florida Ports only by the weekend of 11/9 with some increased, but by no means robust volume the week of 11/15. It won’t be until after Thanksgiving that volume picks up with some other Caribbean basin areas start arriving. We don’t see any dramatic increases in demand, especially with higher prices, but the diminishing production could prices on a firm to upward trend pretty much through November. Unlike cantaloupes, the honeydew market continued to struggle. Domestic supplies are moderate and scarring remains a problem. However Mexico production has been ample with quality better than domestic. Sizes have been running large in both areas peaking on jbo 5s with some jbo 4s, ample supplies of reg 5s and barely adequate supplies of 6s. Demand has been dreadful. Other than processing the retail business has been anemic in the face of unseasonability, cool and wet weather in delivered markets and consumers’ expectation of continued poor quality and appearance. Supplies should ebb along with the cantaloupes. Off shore dews production starts a week or so after their cantaloupes start. We see no dramatic increases in demand due to the same dynamic that has affected cantaloupes. We look for a dull but possibly rising market on honeydews by the end of next week or the following week. We are well into the storage section of the Onion calendar. Washington is shipping Jumbo Yellow 50# bags at anywhere from $4.50 to $5.50 fob Othello WA. Red Jumbo 25# onions are in the $5.00-$6.00 range with deals being made on volume. Idaho and eastern Oregon seem to be holding in the $5.00 range and deals are being made on multiple load volume there also. Whites are in the 12.00-13.00 range ad seem to be holding steady. Best deals on count cartons are running from as low as $6.50 on 40 count cartons all the way up to $8.00 to nine on 80,90,& 100’s. 10# poly and 5# poly are in the $6.00 to $7.00 range with bins growing in more popularity. Transportation is still relative high now that flat bed trucks are not viable this time of year and reefers are in short supply…best bet is large rail or pigs for solid service. We continue to see excellent quality and supplies of all grapes. There are several varieties currently being harvested on the red and green seedless. All sizes are available. Market prices have remained flat with plenty of promotional opportunities and spot buys available. The California stone fruit season is finishing up. Given the current demand, Black Plums should be available through early November with Red Plums going into late November. Quality on the remaining fruit seems to be strong. Prices have been steady and will continue to be flat as we finish up. Increased production from Western Mexico has started to materialize as rains fade and the market has eased. Many shippers are expecting good demand in anticipation of Holiday promotions. Quality has shown improvement. Production from Peru has also begun to increase. Prices are expected to firm during the Thanksgiving promotional season. From Mexico, the lemon crop is beginning to finish up. What has been crossing is mostly smaller sizes on the choice grade. The crop is heavy to the choice grade due to scarring. Demand exceeds supplies on 115’s and larger. From California, District 2 is in full swing while District 1 has started on a light way. Steady supplies of 115’s and smaller with 95’s and larger still limited. Prices seem to have stabilized at the current level. The exterior quality is very good. California Navels have started in a strong way. The fruit is testing very good on the sugar/acid test making for better tasting early fruit. Peak sizing is on 113/138/88’s. Expect a peak on smaller size profile for most of the Navel season. Market prices have moved down rapidly and there are volume deal on the small sizes of 138’s and 163’s. Quality is improving out of Mexico. Rain related quality and availability issues from the previous weeks are beginning to clear up and getting back to normal. The market on yellow and Italian squash is easing and shippers are now looking to move product. Most Herbs and Bunching Green production continues to be light with improved demand. The markets are expected to advance with increased pressure from East coast demand. . Expect some volatility in supplies as we approach the Fall and “Homegrown ” production becomes scarce. Lemons: Steady production and improving quality could help stabilize pricing especially heading into the Winter Citrus season . Mexico and Chile quality is still variable and supplies should hold steady with a higher percentage of fancy fruit expected. .
Oranges Navels have begun with improved supplies Expect prices to ease heading into the Winter Citrus season . sizing profile will likely remain smaller through November. Limes: Supplies from Mexico have continuously been hampered by heavy rains. Quality has held steady despite weather interruptions. With no further rains forecast quality could improve in a couple weeks but continued small sizing profile. Mandarins: Limited Production has begun and is expected to ramp up in November although sizing nor volume is expected to fill Holiday demand . Time is running out to Reserve your promotional supplies for the Holidays. Mexico: Mexico production has improved although recent rains and upcoming weekend Holiday, Dia de Muertos, may ease supplies. Quality has been good although continuous rain has increased spotting or darkening skin. Promotional supplies are expected to be available through November. as well as off shore varieties. Carrot Production has been steady but excessive heat in the Central Valley most of the Summer has interrupted production , further hampering availability with advanced notice already required with current heavy demand. Onion demand has been good and production is steady with improving demand. Quality has been very good The market continues to be strong, especially on Red and White. OG Watermelons Production from Mexico (Nogales) has been improving although they have been hampered by continued rains throughout Mexico Supplies of the mini’s will remain limited as well. OG Cantaloupes and Honeydews Production from the Southern desert and Mexico has been slow to start with intermittent rains from the remnants of Pacific Hurricanes.. After a long run of extremely high quality we are currently evaluating quality after heavy rains soaked the production area last week.